September 15th, 2015. Today in PlayStation Japan's latest promotional video for the Vita "PS Vita-ish Daily School Life," several seconds of Digimon World -next 0rder-'s overworld gameplay was featured as part of a campaign to drum up interest in the handheld's 2016 lineup. Although the clip was short, it revealed several key details, most prominently that at least two Digimon can be with the player simultaneously. This breaks a rule that all of the previous raising games, Digimon World, Pocket Digimon World, Re:Digitize, and Decode, each upheld for the past sixteen years. In order to replicate the virtual pet experience, these games only allowed the player to have one active Digimon at any time. The idea to have two at once may have been derived from the Digimon Twin, which was the last virtual pet launched prior to the franchise shifting in favor of RPG-oriented gameplay. Other details gleaned from the commercial include a weather and season system, and a twenty-four hour clock. The display at the top left of the screenshot above reads "Spring/Week Chart/(Sunday)" and the sun icon seemingly indicates clear skies. Given that in the few seconds that elapse the clock jumps from 07:39 to 07:41, it's clear that time has also been sped up in -next 0rder- as it had been in past World games. The commercial is embedded below. 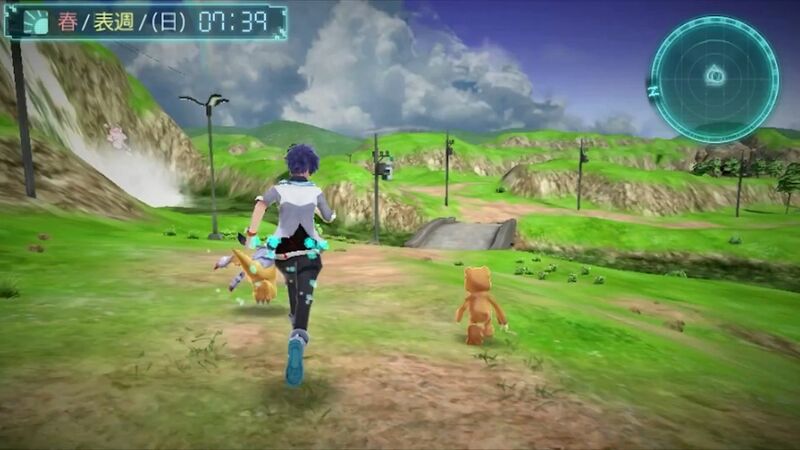 The gameplay implications of having multiple Digimon at once are significant, as it makes possible Jogressing two Digimon to create a new one (i.e. Agumon x Gabumon into Omegamon), and opens up the option of team-based battles, or of tagging in one Digimon when another becomes weakened. Up to now various publications have only shown one Digimon on screen at a time. wahaha!!! nice as aspected i have a strong feeling we can tame 2 digimon in same time niceeeeee!!!! cant wait for more info... no wonder they give a hint 2 digimon in same time its nice if have real time jogress that would be awesome!!!!! ughhhhh hype2! !